Mary Steel Stevenson, born Kelly in Maybole, Scotland on 21 August 1896 and died in Canberra on 3 July 1985, was a Scottish-born Australian community and political activist. She attended the North Kelvinside School in Glasgow and after receiving her leaving certificate managed a successful local business. She married Robert Stevenson in January 1925 and in March of the same year emigrated to Australia. In 1953 she received the Queen Elizabeth II Coronation Medal for her ongoing contributions to Canberra's community. Her granddaughter is Meredith Hunter, born Stevenson, in the photo, politician and previous member of the ACT Legislative Assembly representing the Greens. Across the sky flashed scenes from my life. 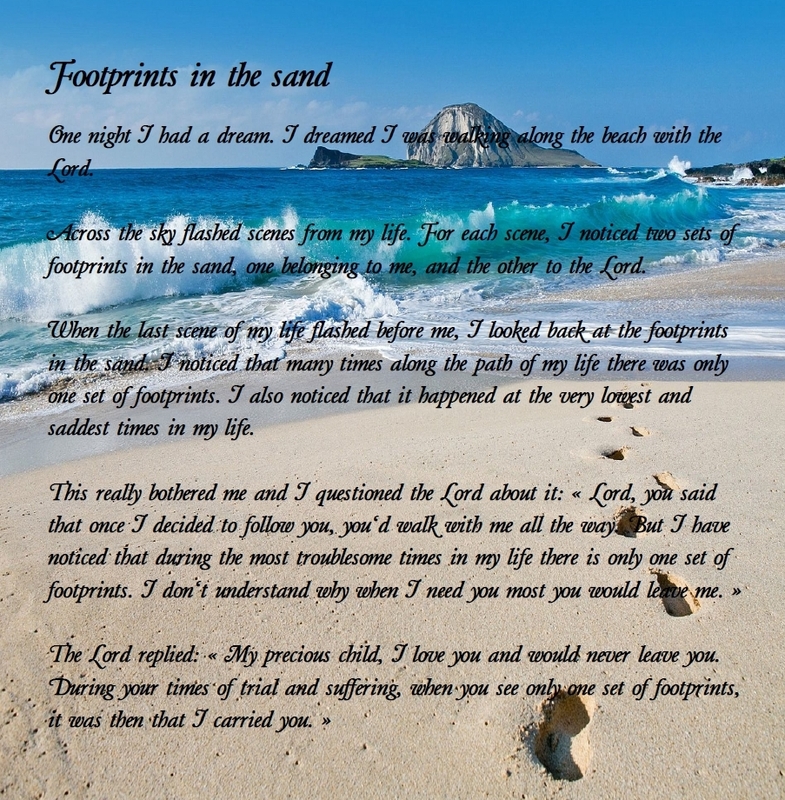 For each scene, I noticed two sets of footprints in the sand, one belonging to me, and the other to the Lord. 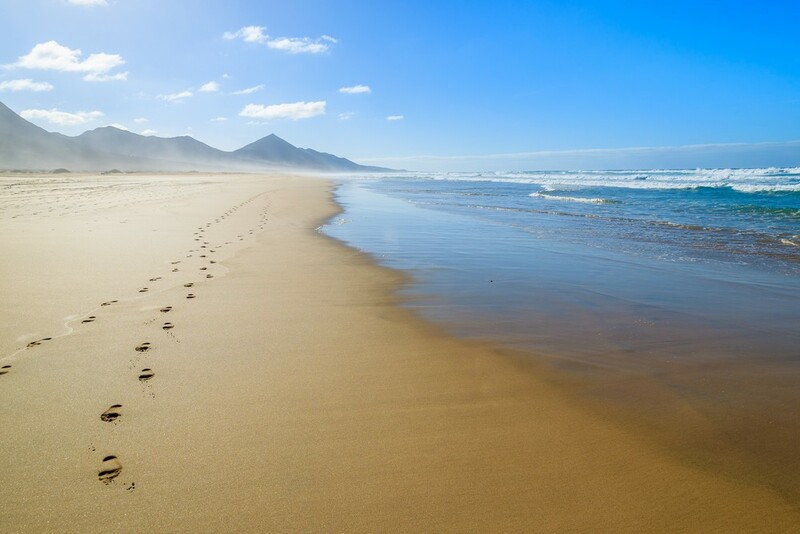 When the last scene of my life flashed before me, I looked back at the footprints in the sand. I noticed that many times along the path of my life there was only one set of footprints. I also noticed that it happened at the very lowest and saddest times in my life.